Gone are those times when smartphone processors were mentioned in MHz and the primary difference between a low end and high end phone was storage and size. Now every manufacturer is trying to put as much power as they can under the hood of their phones, even if it isn’t required. 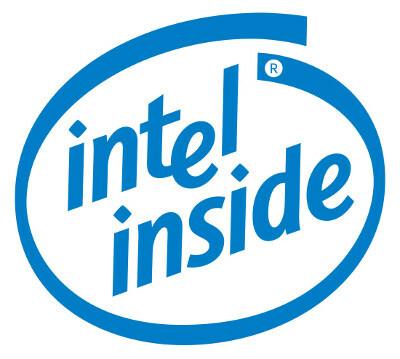 The resolutions are going up, number of cores going up, clock speeds and RAM going up along with the prices. Most manufacturers have got one such phone that tries to make every other phone look pale. Lenovo has recently announced one such weapon from their stable. The K900 is what they came up with. This phone was first displayed in CES and was announced along with a few other smartphones. 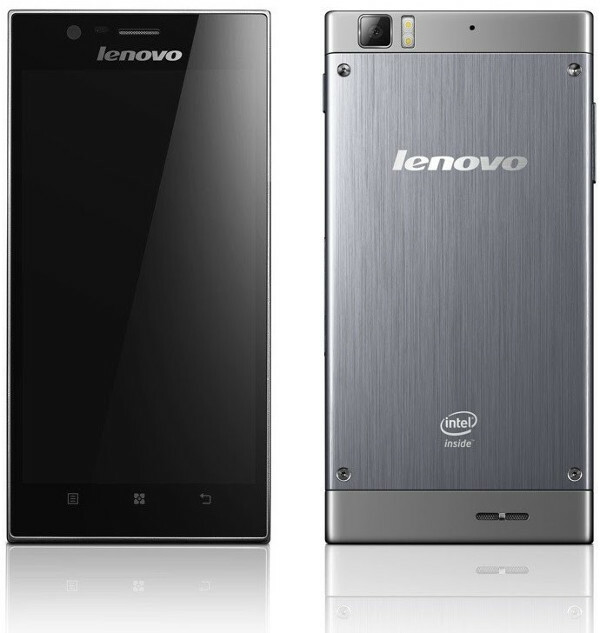 The phone is powered by a 2GHz dual-core Intel Atom Z2580 processor with Intel Hyper-Threading technology. As they say, the processor has been optimized for better power management. The phone has also been priced very well for what it has to offer. The phone looks elegant and has been made out of brushed metal. The phone feels large in one’s hands but then it would, because it has got a display the same size as on galaxy note2. The phone is a bit on heavy side tipping the scale at 168 Gms but makes up for it with the extremely slim body (6.9 mm) and great looks. The phone is not a unibody design but the back panel is held by screws which is kind of confusing. It they want us to open screws to replace batteries then why not make a simple unibody. Ignore that bit and the phone looks awesome. Yes it is too big for single handed use and reaching the corners is a pain but then any 5.5 inch phone would feel the same, or even worse. The display on the device is a full HD (1080p) IPS display. The display looks crisp and it won’t disappoint you at all. The colors are saturated well and the viewing angles are just great. Contrast ratios are not as good as an AMOLED display but they are still very good. And as the display is 1080p on 5.5 inches, the pixel density is well above 400 pixels per inch. I don’t think anyone can notice any pixels on a display having more than 280-290 pixels per inch so it is obvious that the display is crisp. This display is meant for you if you like to watch movies and videos on your mobile device. The phone runs android 4.2 jelly bean that has been customized for the device. The thing I don’t like about a modded android interface is that some companies end up making things worse. The interface is simple but when the phone screams business and elegance, the interface is kind of comic like seen on many low-end LG and Samsung devices. The animations tend to get annoying at times and you can’t change or stop them. But then you don’t have to worry much about it. If you get bored or annoyed of the launcher of the device, there are a dozen launcher replacements available on the play store or forums. Just a simple ask and your issues are fixed. The phone has got 2GHz dual-core Intel Atom Z2580 processor with Intel Hyper-Threading technology. If it doesn’t make much sense to you then let us tell you that this processor has enough power to compete with most quad core mobile processor. The RAM on the device is 2 GB which is plenty for anything you would need. The graphic processing jobs are handled by a Power VR GPU. There is not much we can tell right now but sources on the internet say that the device might perform as good as a galaxy s4, or even better. The battery is a non-removable 2500 mAh unit to power the device. There is not much known about the battery life or performance yet but then most smartphone batteries perform more or less the same. Most smartphones don’t make it to the second day even after average usage and I don’t expect this to do any different. The hardware is all good until it comes to storage. The phone has got 16 GB storage and no expandable memory. The phone is capable of a lot of things and one would surely install high definition games and keep full HD movies in the device. And very soon you will find that you are short of storage on the device if you are the sort of person who likes to keep a lot on the phone. The camera on the phone is a 13 mpx unit and uses an Exmor chip seen on Sony devices. We haven’t tested the camera thoroughly yet but this one is known to perform well in many Sony devices. On various Sony devices, it is known to perform well in low light where most cameras fail to obtain photos, without any noise. They say that one can click upto 100 shots continuously in burst mode and with this hardware under the hood; we expect the camera to be blinding fast. So you can be very sure that you won’t miss a shot next time your friend dives into a pool. This seems to be a great phone to us right now but we can’t say anything as it would greatly depend on how Lenovo serves them in the market. They have priced the phone well for the features but it is yet to be seen how the market will see the device as Lenovo hasn’t exactly got the “smartphone manufacturer” image here. People find it hard to see beyond brands like Samsung, Nokia, HTC, Sonyetc. when it comes to taking out over 30K out of pocket. Lenovo need to work hard to convince people why they should pick their phone instead of a Lumia 920 or an Xperia Z. Author:The Author of this post is Julia. She wrote several tech posts for 91mobiles.com. Also check out Lenovo K900 price here. Her passion for upgrading her knowledge puts her to research on topics relevant to her industry. Besides, she also likes to share her findings by writing about them in her free time.